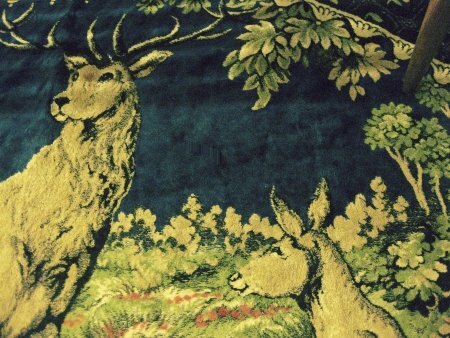 I purchased this 5 foot, velvet tapestry rug this week for our living room. I'm not sure if it's going to work with the scheme, but I couldn't help myself. I LOVE it! It's so bohemian and romantic. A peaceful family of deer lounging in a woodland grotto. The colors are so rich but still soft. 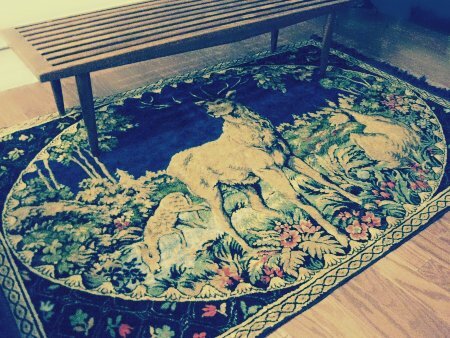 If I keep it, it will probably be used as a floor rug, but it could also be hung as artwork. Ah...maybe over the bed. 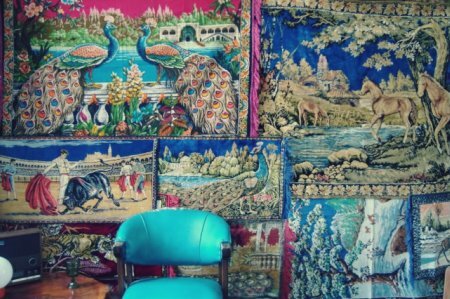 If you really dig cut velvet tapestry rugs, cover an entire wall like shown on Bijou Living Space. Major texture.